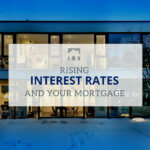 Shopping Around for a Second Mortgage in Toronto or the GTA? We offer competitive second mortgage rates and optimal financing terms for all kinds of life surprises. If your monthly bills are leaving you without as much disposable cash for home renovations, repairs, educational, and emergency expenses – or you’re wisely looking to consolidate multiple debts – getting a second mortgage is an excellent option. Simply explained, second mortgages are loans against the equity of your home. Your total loan amount available depends on the equity you have in your home, and your home equity is the value of your house minus all the debts you have against your home. By accessing our low second mortgage rates with a fixed interest rate (usually lower than most credit cards), you can meet your expense demands in a more strategic and controlled manner than credit cards. Second mortgages are highly advantageous to clients looking to pay off multiple debts or who need cash immediately. With a second mortgage, we leave your first mortgage completely intact and source additional money from a completely different lender. If your current mortgage is locked-in at a low-interest rate, taking out a second mortgage might be a better choice than re-financing your home due to penalties and fees. Repayment terms are more flexible than most other financing options. In fact, most of the time they can be set up with interest only payments, which can help your cash flow immensely. Access the funds at your discretion: home renovations, small business investment, debt consolidation to lower your monthly payout more. Qualifying for a second mortgage is based more on home equity than credit and income. Let us help you find the best-fit second mortgage by contacting us today! Our trusted mortgage specialists will go through all your budgeting, credit and mortgage matters with you before you make any major financial decision.